Morcellator lawsuit filings have begun to mount in U.S. courts, following an urgent alert from U.S. health regulators that these surgical tools can result in the spread of undetected cancer cells when they are used in minimally-invasive uterine surgeries. Considering that power morcellators are used in some 50,000 laparoscopic hysterectomies and fibroid removals every year, potentially hundreds of claims could eventually be filed against the manufacturers of these surgical tools. Power morcellators are electronic devices that use a rotating blade to grind down fibroids and uterine tissue in order to facilitate its removal through a small abdominal incision. Since the first of these products were launched on the market in the mid-1990s, morcellation procedures have become extremely popular, as they are associated with less pain and scarring, as well as shorter hospital stays and recoveries, than traditional open surgeries. 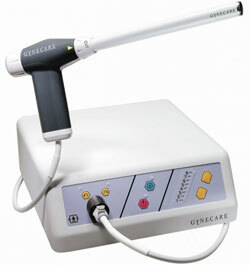 In February 2014, the use of electric morcellation came under scrutiny, after two articles published in the Journal of the American Medical Association reported that the technique can disseminate undetected uterine cancer cells into the abdomen and pelvis. This can cause a cancer to jump from stage 1 to stage 4, greatly reducing a woman’s chances of long-term survival. That same month, what may have been the first power morcellator lawsuit in the U.S. was filed by a Pennsylvania man who lost his wife to a rare but aggressive form of uterine cancer that was allegedly spread by one of these devices. The complaint, which named Johnson & Johnson’s Ethicon Inc. unit, iNA Medical US d/b/a LiNA Medical, and Blue Endo as defendants, alleged that the companies’ morcellation products were marketed without adequate testing. It also accused the defendants of failing to warn “about the possibility of seeding an undiagnosed sarcoma” associated with the use of their devices. Multiple medical device manufacturers were named in the morcellation lawsuit because the facility where the deceased woman’s surgery was performed refused to disclose which brand of morcellator was used in her procedure. In April 2014, the FDA issued a warning to discourage doctors from using morcellators in gynecological surgeries after it determined that such procedures could spread undetected uterine cancer cells outside of the uterus. The FDA cautioned that as many as 1 and 350 women with fibroids have uterine sarcoma cells within their fibroids, and that screening for cancer prior to surgery does not always detect the disease. The agency announced that it would convene an advisory panel meeting that summer to take a closer look at the issue and make recommendations on mitigating the risks associated with such procedures. In the wake of the FDA alert, several other morcellator lawsuit claims were filed in U.S. courts. For example, less than a month later a California woman filed a product liability lawsuit against the makers of the Wolf Power Morcellator, after she was diagnosed with metastatic leiomyosarcoma shortly after undergoing a hysterectomy with the device. Just prior to that filing, a Florida woman filed a morcellation lawsuit against the manufacturer of the Storz Rotocut device that made similar allegations about that product. According to the complaint, the plaintiff had no prior history of uterine cancer when she underwent a minimally invasive hysterectomy in April 2013. Shortly after the procedure, it was discovered that a cancer known as endometrial stroma sarcoma had been present in her uterus at the time of her surgery. Her lawsuit alleges that the Storz morcellator upstaged the cancer by spreading it throughout her abdominal cavity, shortening her life-expectancy and reducing her quality of life. In November 2015, the FDA has issued its second morcellator cancer warning, that pecifically cautioned against the use of the devices in the majority of women who require hysterectomies and myomectomies. The FDA also orders morcellator manufacturers to add new black box warnings to their product labels.